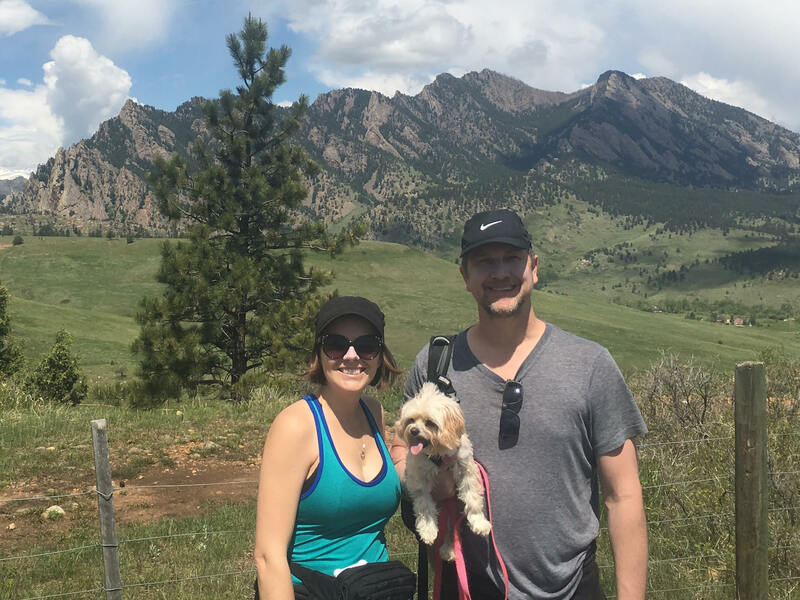 From South Dakota, we headed up to North Dakota. The landscape of North Dakota is mostly flat with some occasional hills. However, we saw countless fields of sunflowers and straw-looking crops. As the breeze blew the ocean of wheat, we finally understood the meaning of “waves of grain” and were mesmerized by the swaying stems. 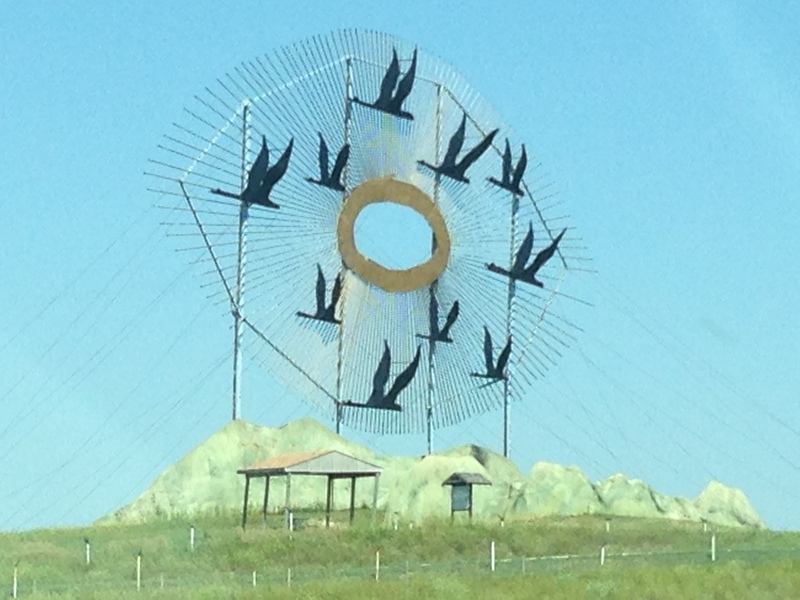 While traveling, we eventually saw a sign for the World’s Largest Metal Sculptures on the Enchanted Highway. We were towing the trailer but were still tempted to take the 32-mile, 2-lane highway to see the multiple metal sculptures at different points along the road. We have a strange fascination with World’s Largest items, which you might remember from the post about Missouri and Illinois. However, we remembered our ordeal on the 2-lane road next to Lake Michigan with nowhere to turn around and didn’t want to run into a similar situation. So unfortunately, we couldn’t take the Enchanted Highway. We did at least get to see one of the sculptures though off of the main freeway. As we continued driving, we passed the Missouri River on our way into Bismarck and kept heading east to our campground in Jamestown, ND. 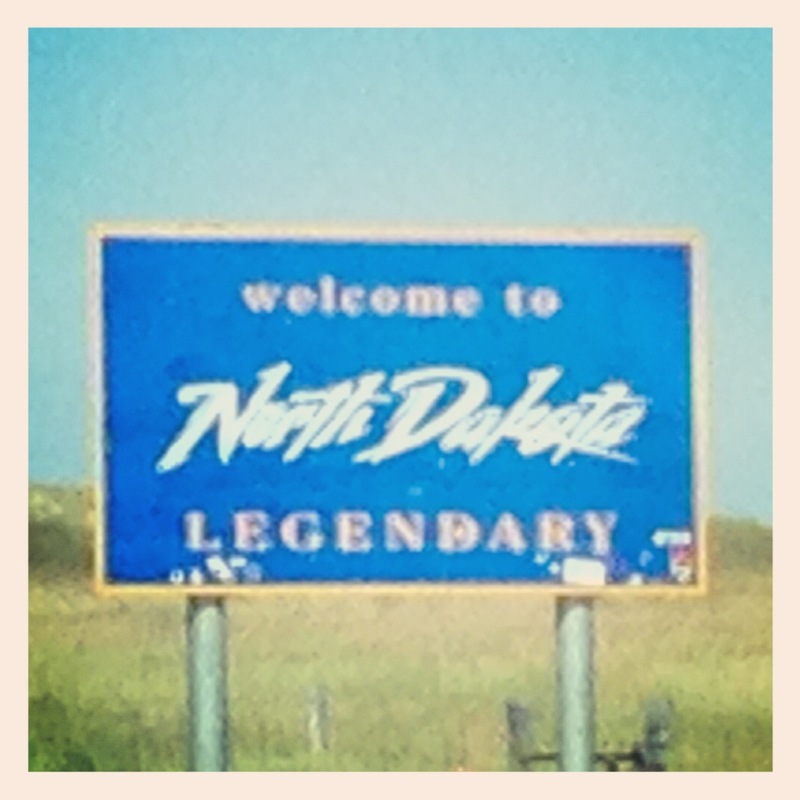 We only spent one night in North Dakota and began making our way to Minnesota. 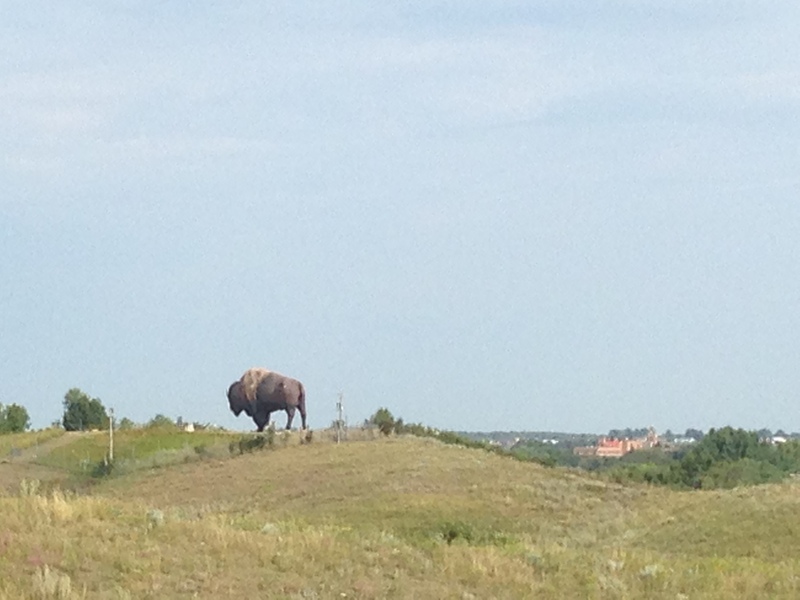 As we were leaving Jamestown, ND, we saw another World’s Largest from the road: the World’s Largest Buffalo (statue). When we reached Minnesota, we realized why it’s called the Land of 10,000 Lakes as we passed lakes left and right. Another fun fact worth mentioning about Minnesota is that they’ve had the cheapest gas we’ve come across so far at just $3.29/gallon! That was nice considering how much gas we’ve been going through on this cross-country journey, especially when we’re towing the trailer. 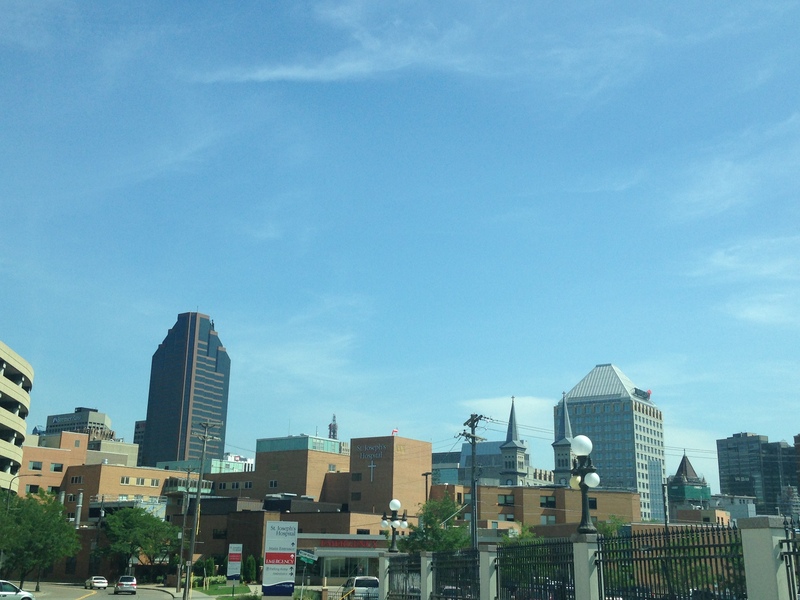 However, we hit some traffic through Minneapolis on our way to our campground. It seems like any place worth living is going to have some traffic, so Minneapolis might be promising. After getting set up at camp, I was craving a real meal. We’ve been on the go so much lately, that our meals have primarily consisted of fried, greasy foods and snacks. I needed some yummy food with substance, so we explored the area surrounding our campground in Prior Lake. 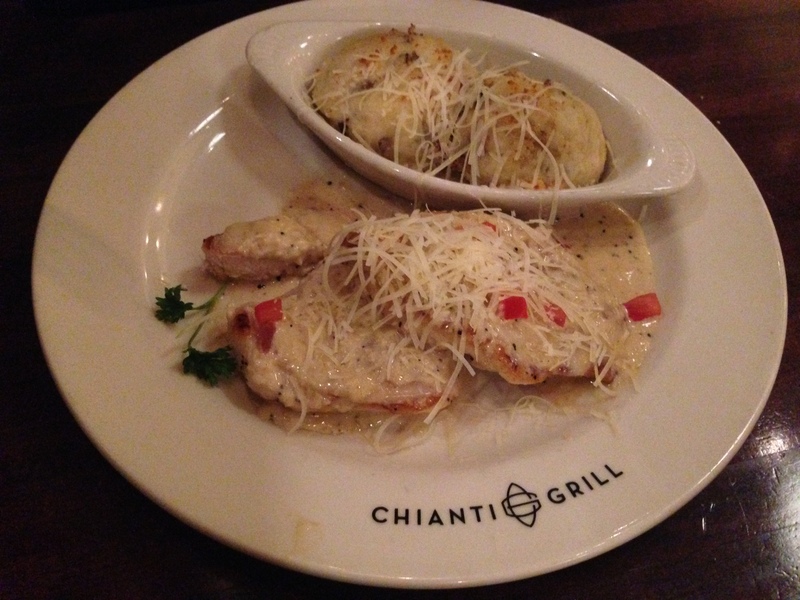 We found ourselves in the nice Minneapolis suburb of Burnsville at the Chianti Grill restaurant. It ended up being a great choice! 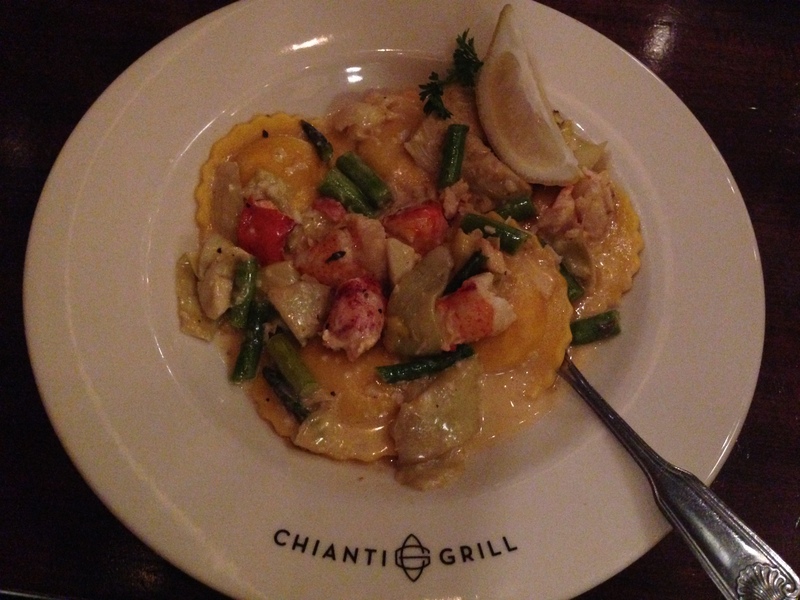 I loved the huge chunks of lobster in my Lobster Ravioli, and Justin enjoyed the Chicken Saltimboca with a side of delicious mashed potatoes. It had been so long since we’d had a nice dinner. We couldn’t find any decent food in the areas of South Dakota we visited, and we realized they were all small towns. While we’ve enjoyed seeing small town America, we’ve decided we’re too much of foodies to live in a small town. Haha! On our way back to our trailer, we took a closer look at Burnsville and really liked what we saw. It seemed like a nice area and was really green with newer housing spaced apart. There was also a decent balance of chain and unique, individual restaurants. Plus the suburb has the convenience of big box stores, such as Target. It’s nice to be back in civilization! 😉 We’re really looking forward to seeing downtown Minneapolis! After being on the road for 74 days and putting over 15,000 miles on the truck, it was time for another oil change. We took the truck to the GMC dealership first thing in the morning to get it taken care of. 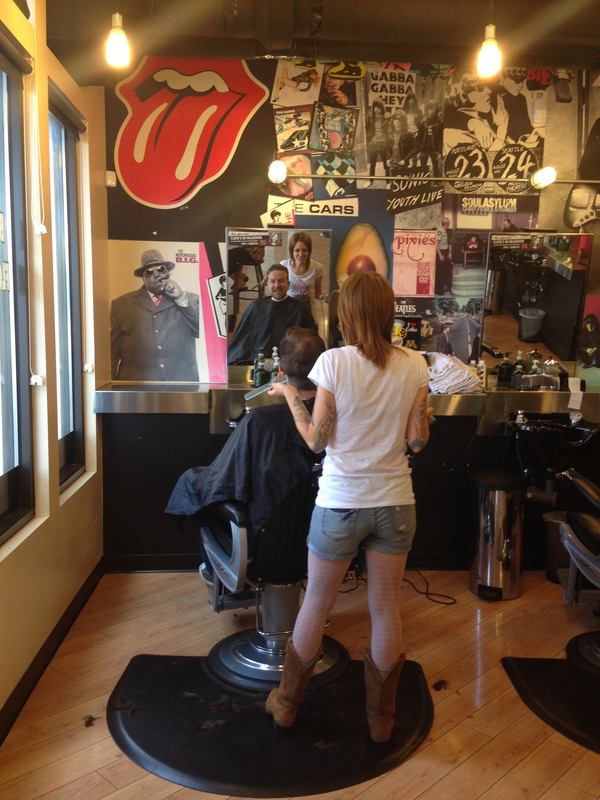 From there, we found a barbershop for Justin to have some grooming done. He’s letting his beard grow, but he couldn’t take his hair curling around his ears and desperately needed a trim. It was the first time he’s had his hair cut during our trip and the first time anyone other than me has cut his hair since we’ve been together (nearly 8 years!). The trailer isn’t ideal for cutting hair. Plus, it was nice to sit back and let someone else do the work for once. 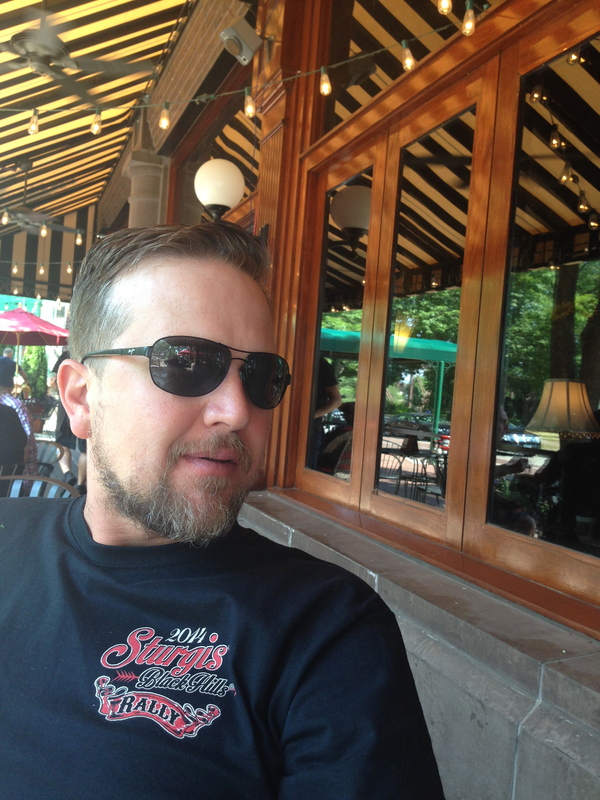 With Justin’s spiffy new hair do, we ventured over to Minneapolis’ downtown area and were pleasantly surprised! Downtown Minneapolis is lively, diverse and colorful. There are rooftop restaurants, flower arrangements along the sidewalks and numerous old churches adding to the character. We headed over the Mississippi River to the revitalized northeast area and ended up on the quaint brick Main Street where we had lunch at one of the sidewalk cafes. It was a beautiful day with perfect weather. Everyone seemed to be out and about. Several people said that Minneapolis is the most bike-friendly place in the nation. However, they also mentioned that the winters are brutal. If every day in Minneapolis had weather similar to today’s, I could live there. We loved the downtown area, and the suburbs seemed really nice as well. Being born and raised in Las Vegas though, I’m not sure if I could handle the winters there. Since Minneapolis is one of the Twin Cities, we had to also see it’s twin while we were there. After lunch, we took the short drive over to St. Paul, MN. It may be Minneapolis’ twin in proximity, but it doesn’t match Minneapolis’ vibrancy and liveliness. If I had to choose between the two, I’d definitely pick Minneapolis over St. Paul.